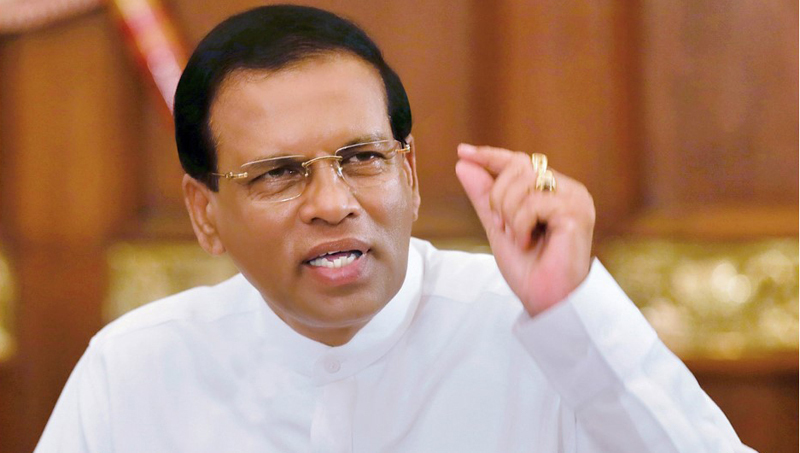 President Maithripala Sirisena yesterday directed the Finance Ministry to provide him with a report of all imported goods which can be restricted within a week. The President made the directive when the National Economic Council (NEC) met at the Presidential Secretariat. The main focus of the meeting was to discuss measures the government could take to deal with the current economic crisis that has resulted with the appreciation of the dollar against the rupee in the international market. The discussion also focused on the import restrictions already in place on non-essential commodities and on the import of polythene. The NEC which had invited local manufacturers and businessmen to its meeting this week also paid attention to many issues faced by local businesses and manufacturers. The issues faced by sugar importers were also discussed and the importers had pointed out that they were facing heavy losses with the current price controls on sugar. Local fruit juice producers discussing their issues highlighted the sugar tax imposed on the fruit juices, and a committee was appointed to report on ways in which the government could help promote and encourage local fruit producers and juice manufacturers. The NEC also discussed introducing the manufacturing of single phosphate using Apatite in Eppawala as a substitute for imported tri-phosphate. It was observed that this could reduce the foreign exchange spent on the importation of fertiliser. The President also discussed the scanning mechanism of all goods which enter the Ports and asked for a report on mechanism where all containers instead of random containers could be scanned. Ministers Mangala Samaraweera, Rajitha Senaratne, Dr Sarath Amunugama, Duminda Dissanayake, Mahinda Amaraweera, Mahinda Samarasinghe and Malik Samarawickrema, Secretary to the President Udaya R.Seneviratne, NEC General Secretary, Prof.Lalith Samarakoon and Central Bank Deputy Governor Nandalal Weerasinghe and other officers were present at the meeting.